MentorMate is a Minneapolis based software development company specializing in full-scale mobile & web application design, development and marketing. We specialize in outsourcing software development, when appropriate, to our three wholly-owned subsidiaries in the largest cities of Bulgaria (Plovdiv, Sofia & Veliko Tarnovo). Not only do we have a large team of highly skilled software engineers in Bulgaria, but we also have a local team of talented developers in our Minneapolis headquarters. Our team has the unique pleasure of working with many truly exceptional clients that are leaders in their respective markets. We assist our clients in building award-winning apps that are used by millions of people around the globe. We support our clients in developing applications as complex as global energy trading systems and as simple as lead-generating, mobile-friendly marketing web sites. Our main objective is always to meet the business needs of our clients, while designing our solutions from the user’s perspective. Our aim is to improve the quality of people’s lives (we even help build software that literally saves lives) through the software we help our clients create. 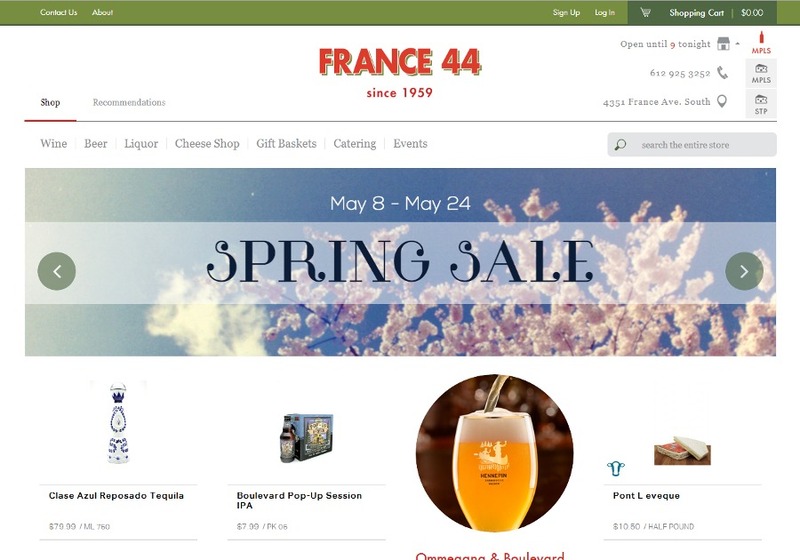 France 44 responsive Magento website. MentorMate also built a companion iOS & Android app as part of this engagement.